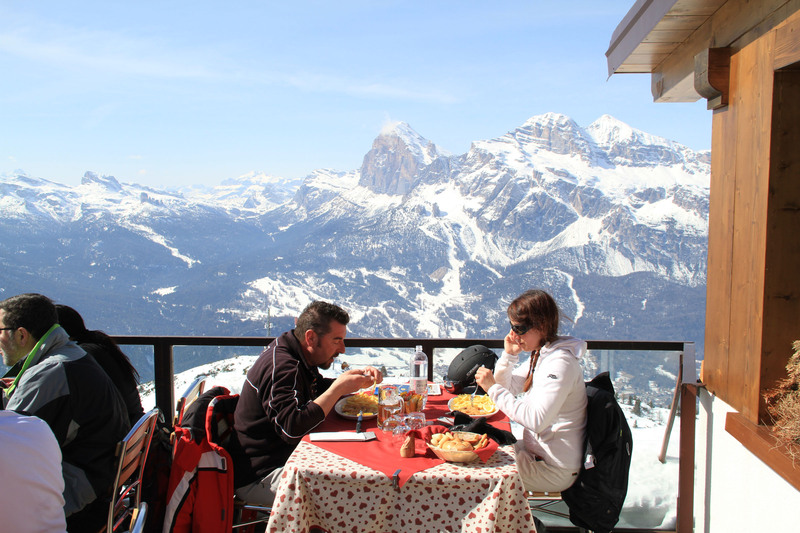 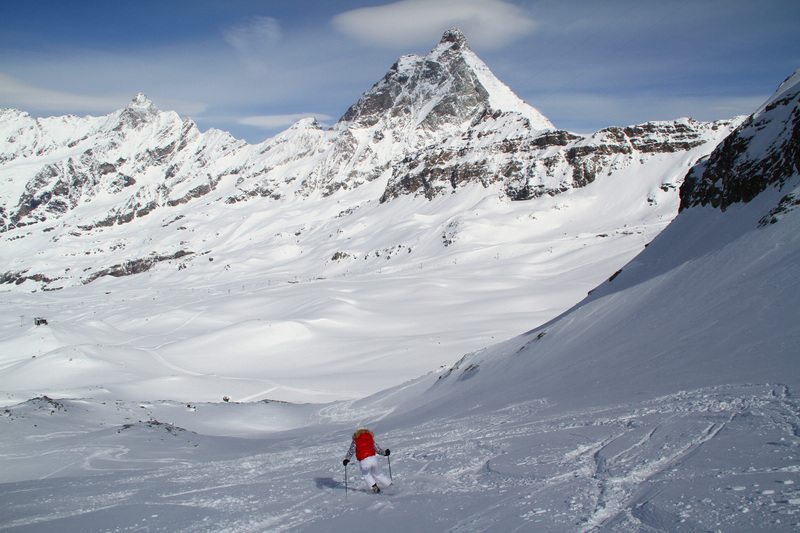 Skiing in Italy is not just a sport, it’s a luxury lifestyle- with fine food, fashion and fabulous scenery. 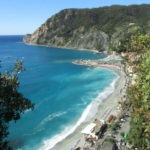 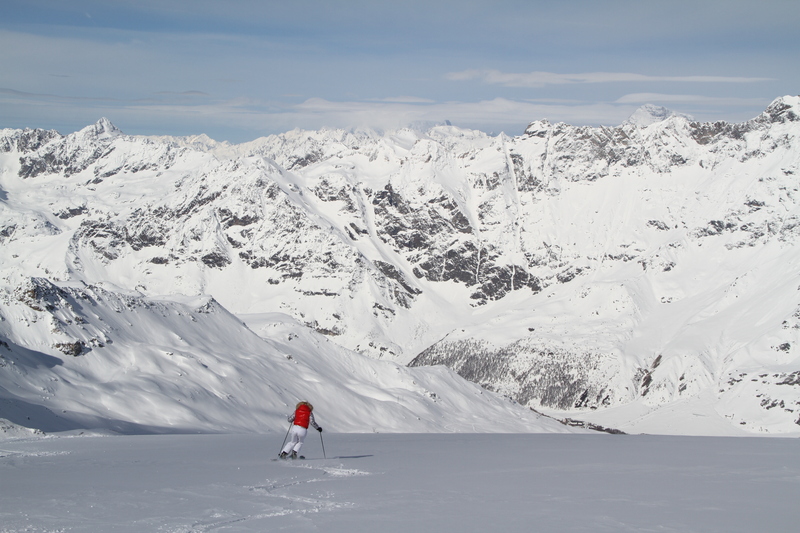 You must visit and ski The Italian Alps to truly appreciate La Dolce Vita on snow- the good life in winter. Italy does not get the alpine accolades of Austria, France and the Swiss Alps, but skiing the Dolomites is a gem – a must for your ski bucket list. Italians are passionate people, and their winter sports are no exception. Skiing in Italy is not about number of ski runs, or vertical – its about savoring every turn, every lunch in the sun, the scenery and the social scene in these spectacular mountains, staying in impossibly chic Italian ski hotels. 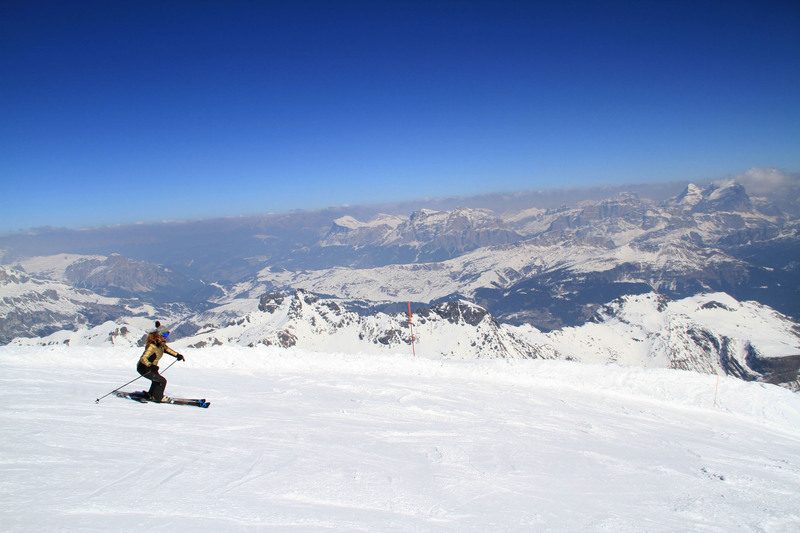 See Ski Videos of Italy. 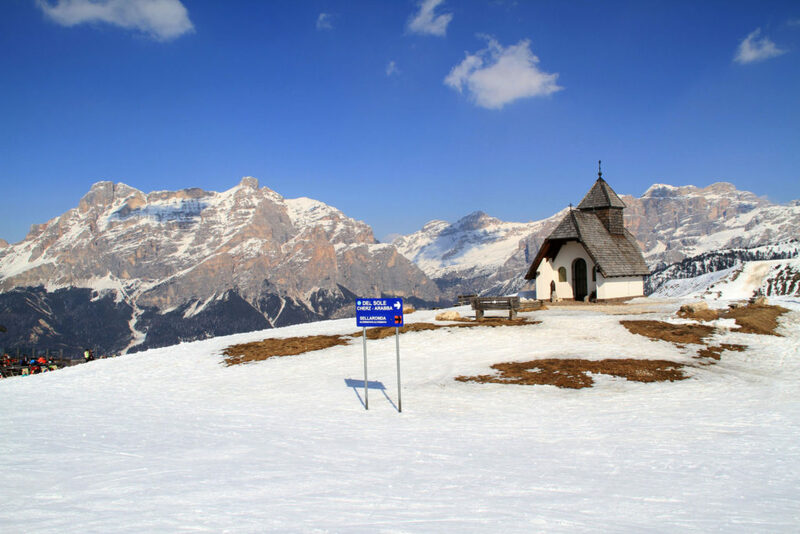 The Italian Dolomites border Austria, and offer a huge ski region, 1,200 kilometers of skiing among 12 unique ski areas and 450 lifts, and delightful Italian towns – our favorite ski towns in Italy are Cortina and Val Gardena. 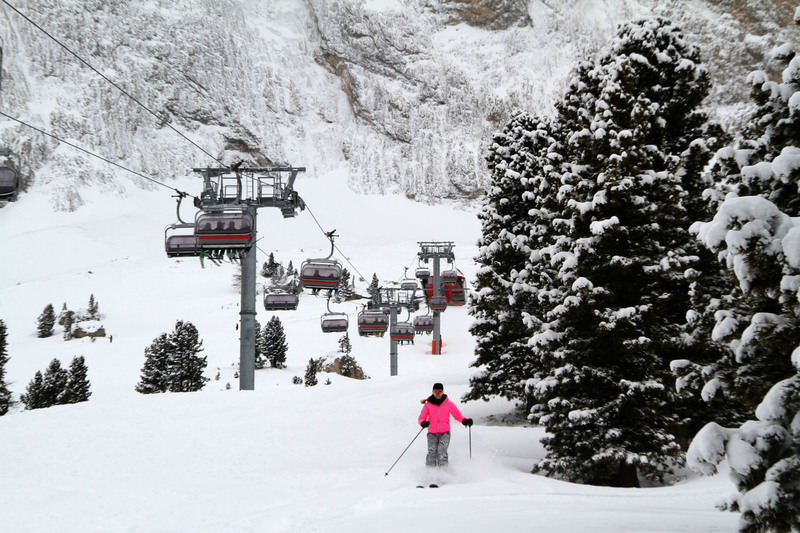 Cortina d’Ampezzo is among the largest and most stylish ski resorts in Europe, nicknamed “The Queen of the Dolomites.” Cortina has five star hotels, and Michelin restaurants, a beautiful piazza which fills with well-dressed Italians for après ski passagiata. 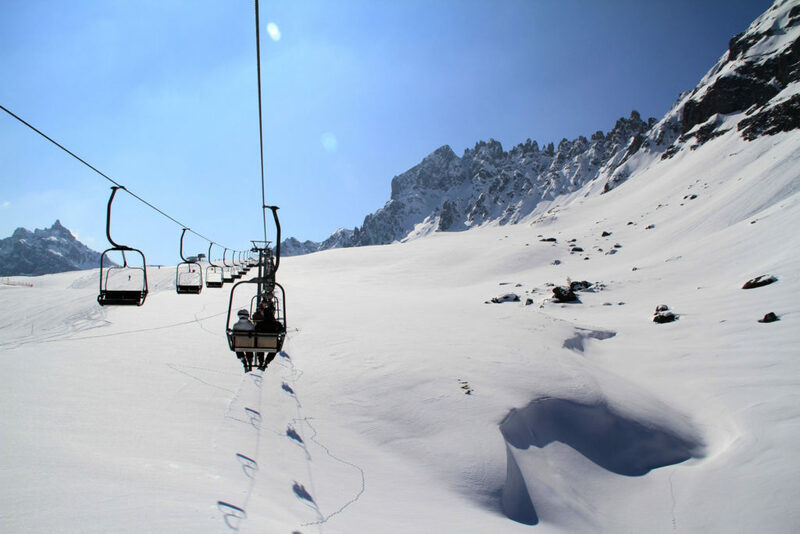 The ski slopes are superbly scenic – this is Pink Panther, Cliffhanger, and James Bond’s “For Your Eyes Only” movies were filmed, and the 1956 Winter Olympics were held. 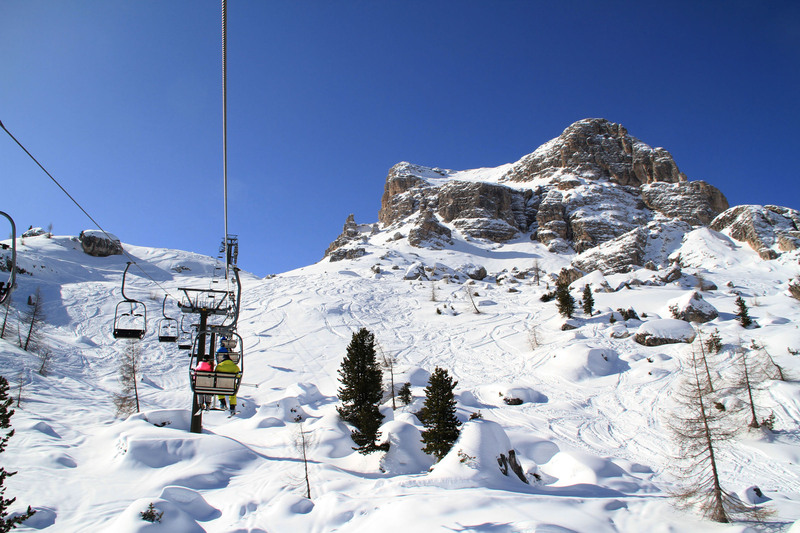 Cortina is famous, and fabulous, with three unique ski resort to explore. And Cortina is part of the vast Dolomite Super Ski Region, which also includes another stylish town Val Gardena. 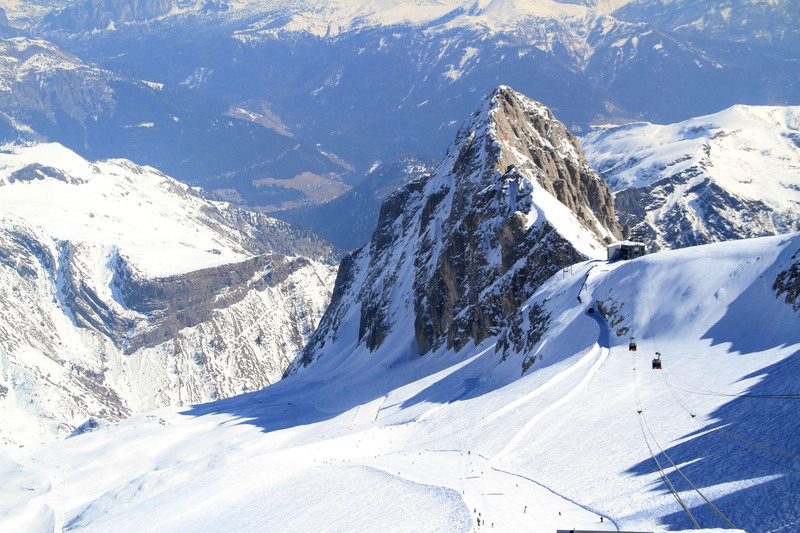 Val Gardena is a gorgeous valley of ski lodges and huts, with skiing on 80 lifts and an 8,261-foot summit. 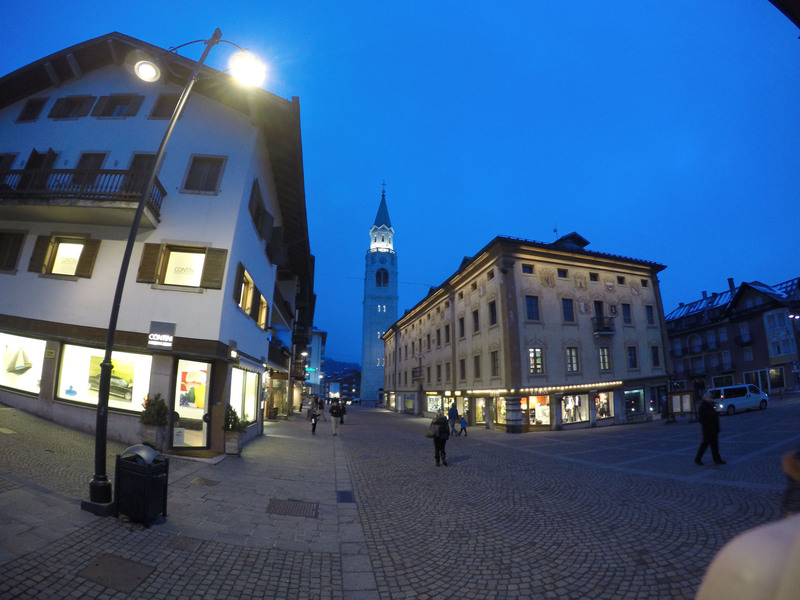 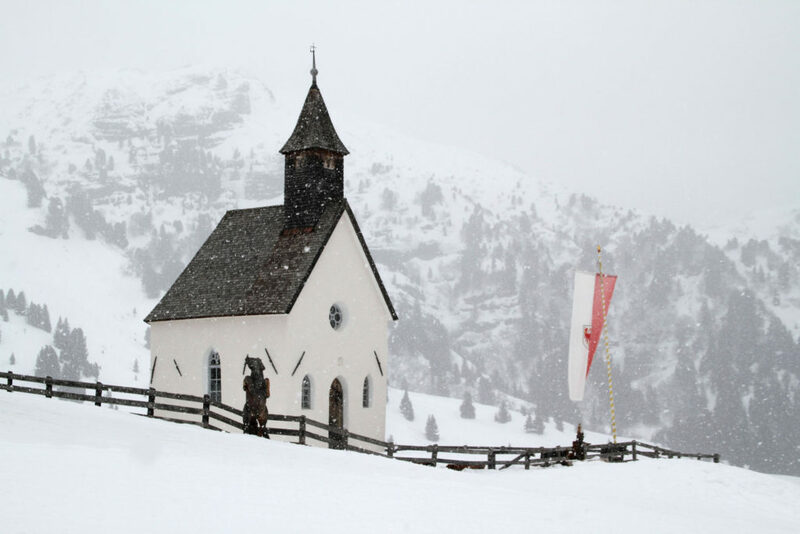 In the village of Ortisei you have quaint boutiques and cafes, historical churches and modern ski lifts, and top hotels. 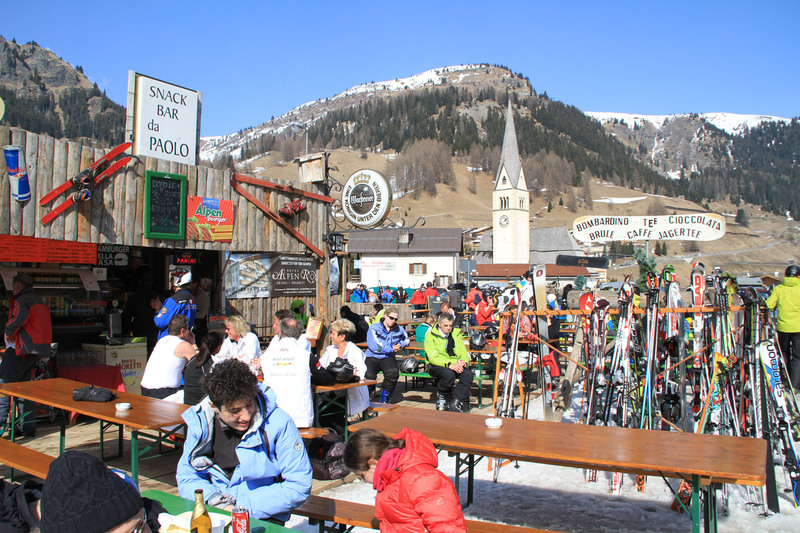 Up on the ski slopes, you can ski in for miles, and ski in to fantastic mountain huts with sun decks for delicious alpine cuisine an aperitifs. 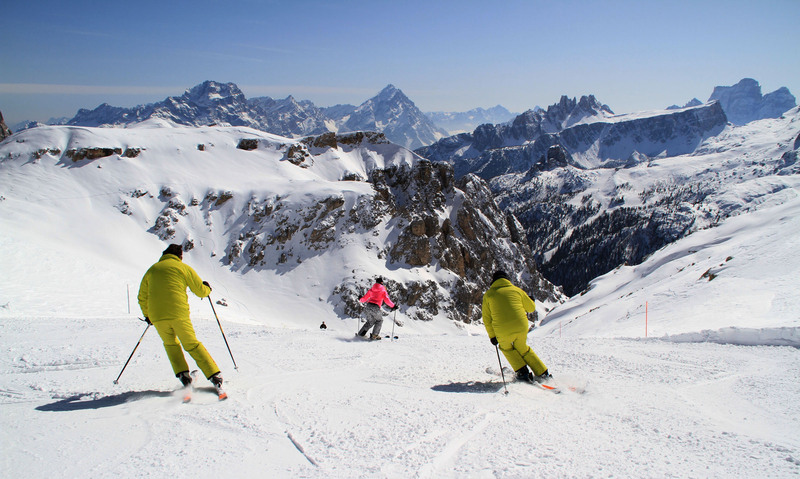 This is what makes Italian ski vacations truly luxurious. 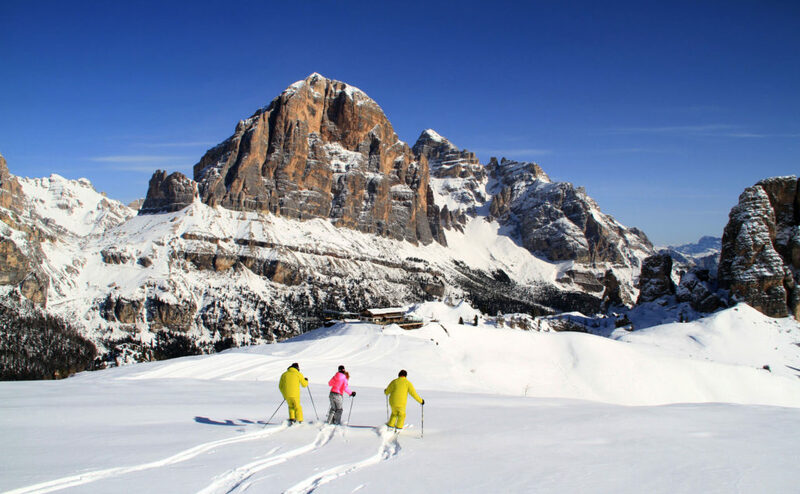 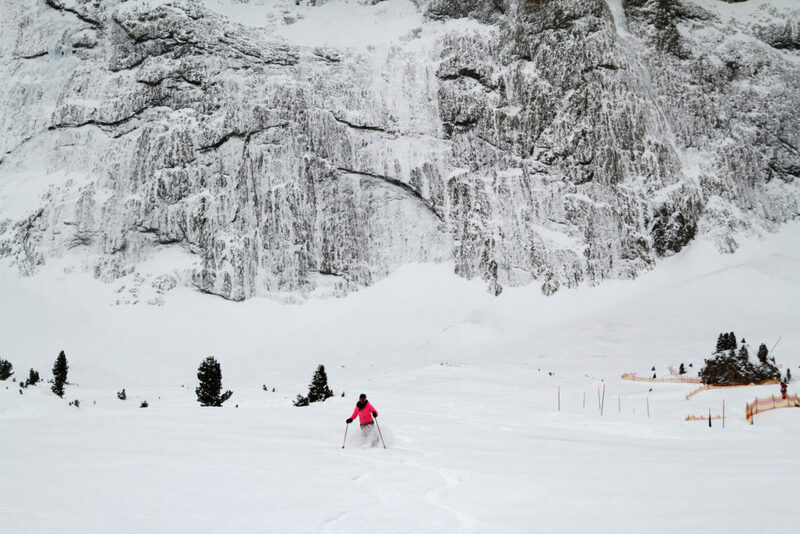 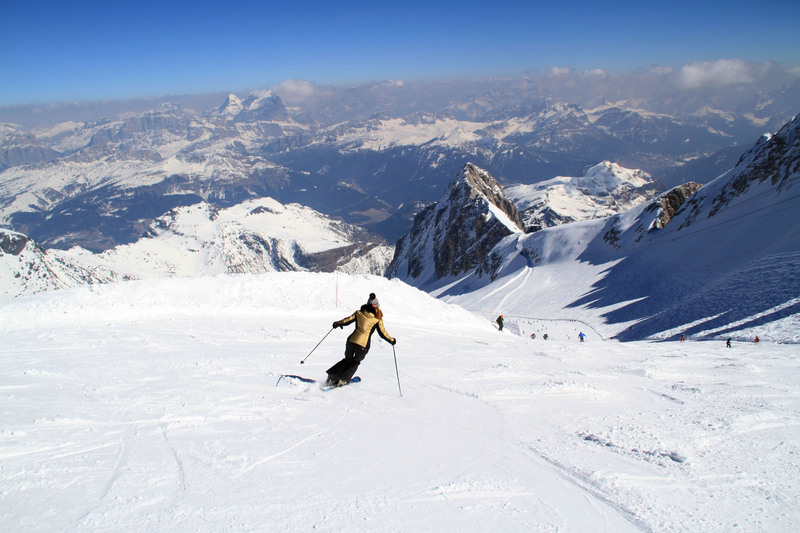 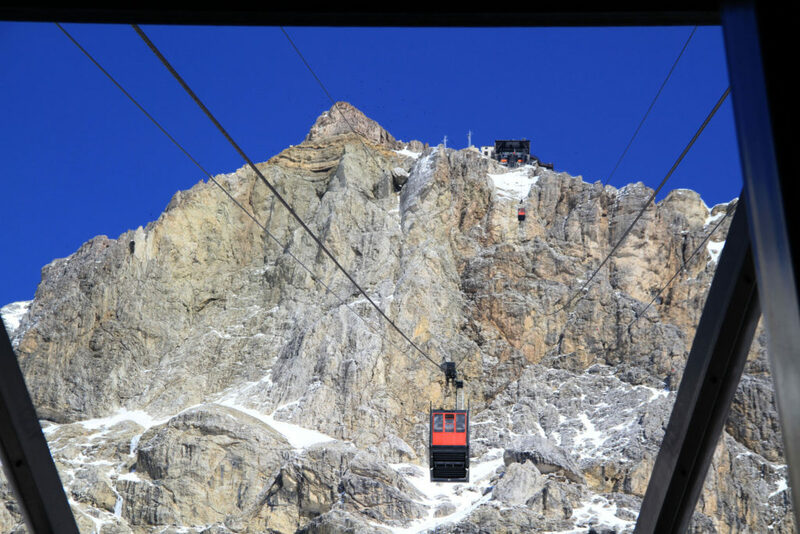 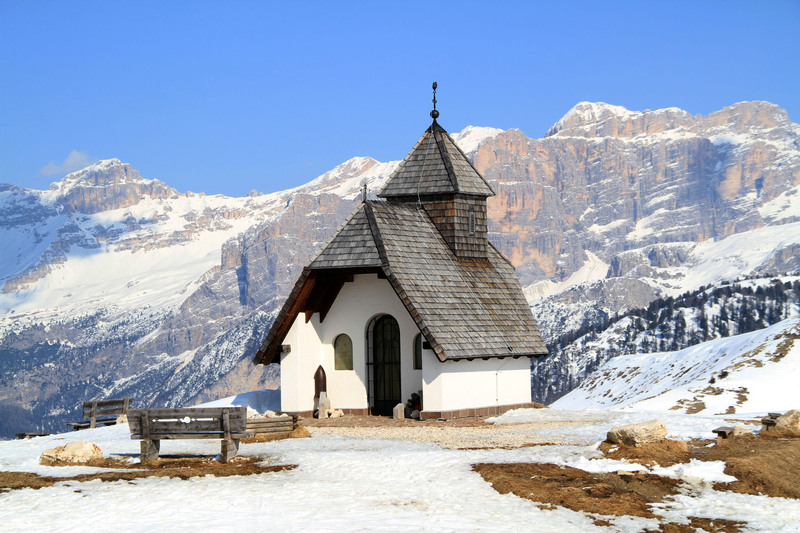 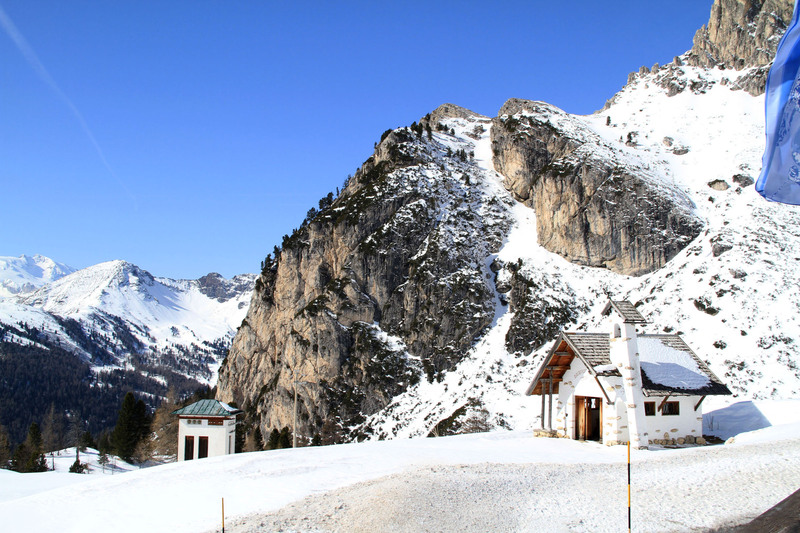 An Italian Dolomite ski vacation is also adventurous when you ski The Sellaronda, a 42 kilometer ski day through the incredibly scenic Dolomite ski areas of Alta Badia, Arabba, and Corvara, to Cortina and Val Gardena all in a circuit. 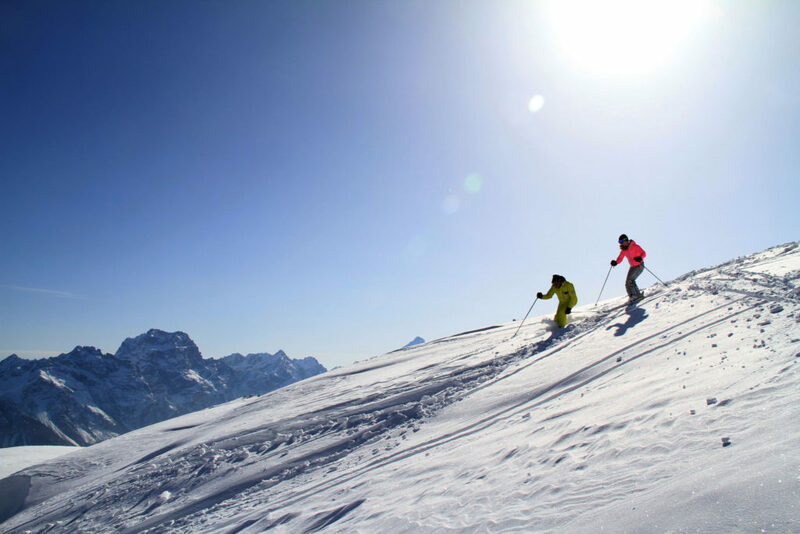 You simply must see the towering jagged pre-historic Dolomites, and ski to a sunny refuge chalet for Italian lunch – to truly understand the Italian lifestyle – even more glittery and glamorous on snow. 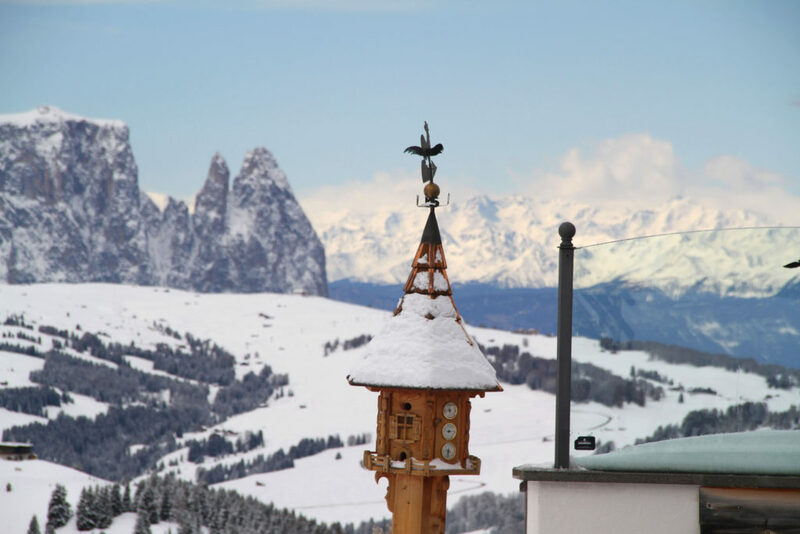 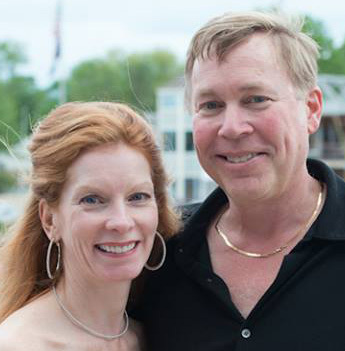 If you love fantastic food and gracious hospitality, spectacular mountain lodges and five star hotels in historic villages, we’ll see you in Italy, skiing the Dolomites.